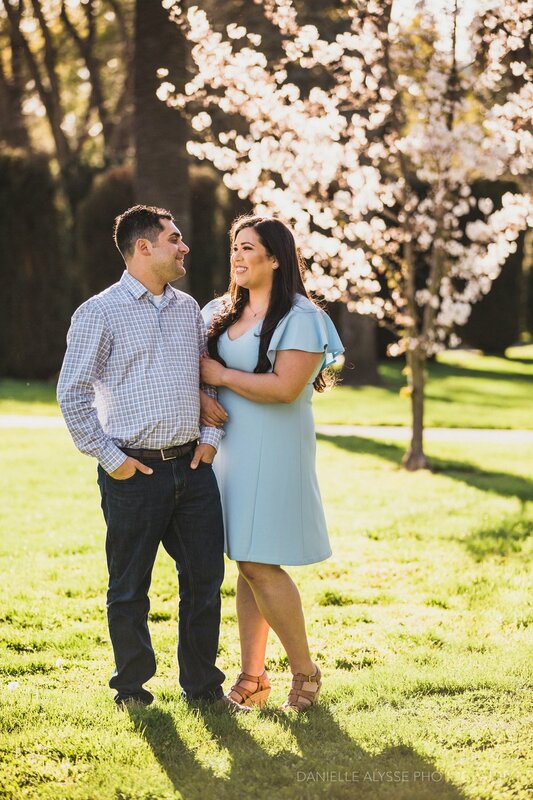 As my beautiful couple and I began to stroll through Capitol Park in Downtown Sacramento finding the best and brightest spots, I knew at that moment we were about to create some magic at the park. 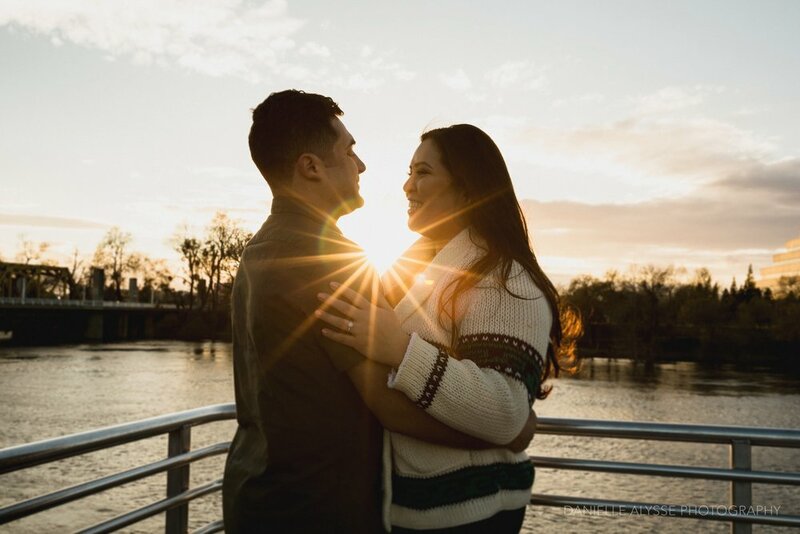 Lily and Ryan had me giggling the entire session. Yes. Major cuteness over-load. 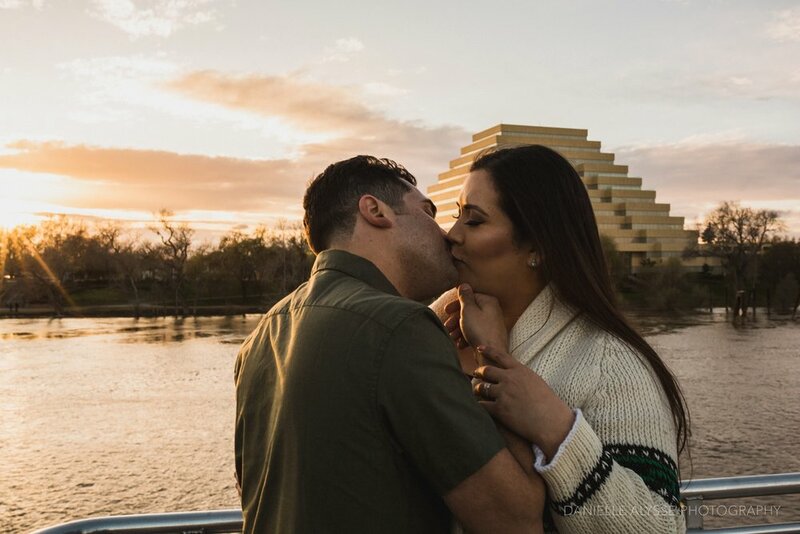 50 adorable, cheesy jokes later, they changed into their second outfit, and we headed over to Old Sacramento to capture the last rays of light: a golden dream. Catching the fleeting sunset just in time, we ended our session on the Tower Bridge. Lily and Ryan's personalities truly shined the entire shoot. 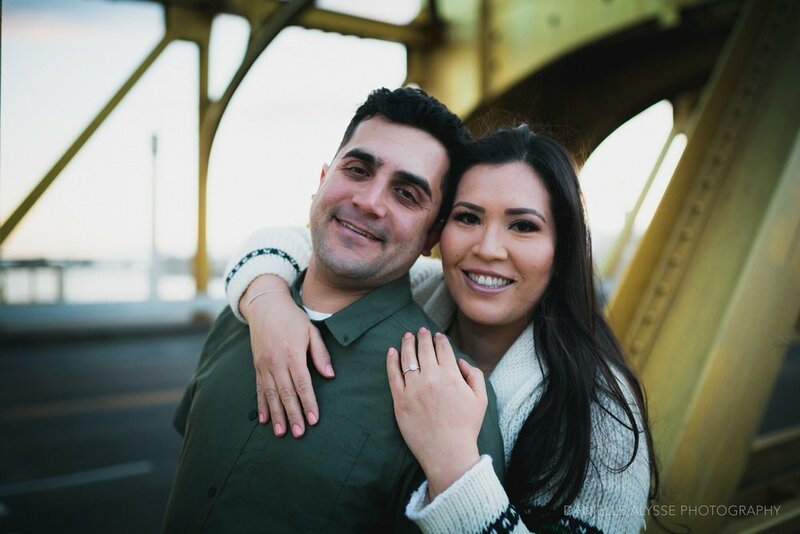 I feel absolutely blessed to get to photograph their wedding this June.